Grew up… in a seemingly loving home. Abigail was close to both of her parents, but particularly to her father, who would often take her on his hunting trips. Unfortunately for Abigail, the prey Garret Jacob Hobbs hunted was often human. Living… against the odds. After an anonymous tipoff alerts him to a FBI raid, Abigail's father preemptively slashes the throats of his wife and daughter. While her mother dies of blood loss, Abigail is saved – but just barely – by FBI Special Agent Will Graham, who rushes her to the hospital after shooting her father. Profession… college student, though she's currently on hiatus from school. Being in a coma after having your throat slashed can do that. Despite her scars, however, Abigail's eager to get her life back and go back to school. She’s even considering a possible career in the FBI. Interests… previously, hunting and spending time with her family. These days, however, most of Abigail's time is spent trying to evade the attention of the media, who seem to think she was involved in her father's murders. 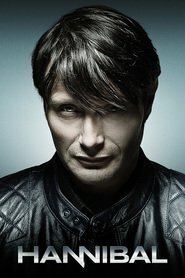 It's a situation that frustrates Abigail to no end, as she tells Will Graham and Hannibal Lecter: "I know what people think I did. They're wrong. Why can't I tell everybody that they're wrong?" Relationship Status… single. Being the suspected accomplice of a cannibalistic murderer doesn't exactly attract a lot of suitors. And even if it did, Abigail's current mental health leaves her in no state to date. Personality… resilient, but sensitive and self-doubting. Abigail may proclaim her innocence to the press, but inside, she's tormented by the same doubts that plague the public. Underneath all the secrets and guilt, however, seems to be a bright, conscientious young woman. But it's going to take a lot of therapy before Abigail can be herself again, if ever. Abigail Hobbs's popularity ranking on CharacTour is #1168 out of 5,000+ characters. See our top-ranked characters and read their profiles.